Every Friday we’ll be bringing you a dose of silliness that you wouldn’t even have thought of trying with your kids! And be warned – sometimes it will get messy. What’s great about it, is that it’s so simple to be silly! It won’t break that bank and you’ll have fun too! 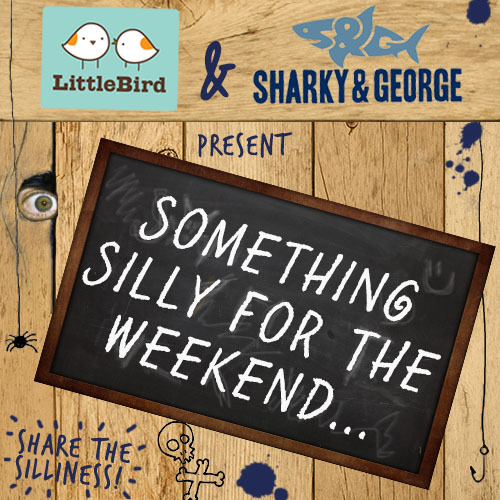 Sharky & George are the professionals of silly and mad, and we’re glad to be on board! Don’t forget to tune in next week for your next dose of complete and utter silliness – you have been warned!